Maggie Mayfield is turning eleven and looks forward to becoming President of the United States. When her Dad loses feeling in his legs and becomes confined to a wheelchair, he quits his job, turning Maggie’s mother into the family breadwinner. 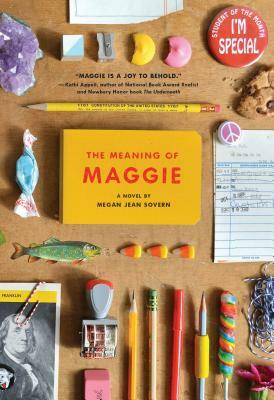 In the months that follow, as the family dynamics change, Maggie becomes more and more aware of her father’s condition and its prognosis, first through comments from her teenage sisters and later through her own science project. Though she is often overwhelmed– both by being left out of family discussions and by her growing knowledge that her father will never be cured– she faces everything with determination, humor, and hope.